Well then, it’s been a while since I have reviewed a game but I am back with Yakuza Kiwami 2 the remake of Yakuza 2! So for starters a confession, I’ve never played a Yakuza game before. I have seen trailers and .gifs about it but before now I did not know anything about the franchise but now I want to play them all! I will have to wait for the remakes to come out before I go up to Yakuza 6 (if I can wait that long). I will not spoil the story for you (even though this is a remake of a game that came out 10 years ago!) All I will tell you about it is that it’s very involved, there are a lot of characters that are introduced in a sort of rapid fire method that it’s hard to keep up. This could be my own fault for not having played these games before so it isn’t a bad thing really, certainly not a reason to not play it. The story did keep me hooked, I wanted to know what Kiryu was going to do next, what is the solution!? This game is not dubbed and it does not have an option to change the language to English, the only reason this is a little bit bad is because it is hard to enjoy the beautiful graphics during cut scenes. This leads me to the next category. The graphics are a big upgrade from the original (duh! The original was on the PS2!) The game uses the Dragon Engine that was used in Yakuza 6, so it is the most advanced at this time. You can really see the upgrade in the cut scenes; the minor facial details of the characters are very noticeable, from the wrinkles of an old man to the pores and freckles of some of the ladies. Though the graphics are awesome there is no 4K setting for this game – a little bit of a missed opportunity now that we have PS4 Pro. Additionally, the frames are set at 30 FPS, a lot of people see this as a negative but honestly it’s only bad in this game now and then, and personally after a while this doesn’t even bother me. The gameplay of Yakuza really helped keep me hooked, the side quests were varied enough that none of them really felt repetitive. I enjoyed playing the arcades, playing golf, there is even a little RTS game in there that is kind of like tower defense. The fighting in the game kind of reminds me of Shenmue 2 (remember that game?) there are lots of moves that you can learn, and “heat moves” that are basically extra brutal moves and not so brutal: throwing guys into water, or crotch first into a pole and all the way to stabbing a guy in the gut then kneeing the knife further into the gut (ouch!) There is plenty in Yakuza Kiwami 2 to do, so you will not be bored while playing it. Overall I highly recommend Yakuza Kiwami 2, it is fun, the story is great and the upgraded graphics drag you into the title. I can’t wait to see if Kiwami 3 will be made, but I suppose I wouldn’t mind playing it on the PS3, I just hope the graphics difference will not be a turn off! What do you guys think? Will you pick this game up? Did you the original? Let us know in the comments! When I heard a game was coming out that was inspired by Jet Set Radio I was so hyped to play! I first played Jet Set Radio Future, before I even knew it was a sequel? or something? I forget. Anyway, all I know is I liked both Jet Set games. Hover somewhat reminds me of Jet Set in the music and the art style -but that’s about it. Keep in mind, this review will mostly be a comparison between Jet Set Radio and Hover. You start out in an underground science facility and told that your body is “new”. I wondered if my character had died or if this was just an opening for tutorial reasons. After completing the tutorial I could explore the city and interact with NPC’s. Immediately, I was thrown into races and other mini-games that felt similar to basketball. I completed a few missions (mostly races), but there seemed to be no real story behind the game. You would get bits of characterization from the NPC’s, but nothing beyond a few quips and phrases. Aside from the races and basketball-esque game, there are delivery missions where you deliver packages (game consoles to be exact) around the map. I can’t say I was impressed by much of the gameplay, however, what I really did like was the soundtrack. I did see a lot of inspiration from JSR and rightly so since the music was composed by Hideki Naganuma. Hover is a little odd. One of the inspirations it takes from JSR is the abilities to do tricks and grind on edges, which is cool, however the characters don’t seem to be wearing skates. Instead, they wear shoes that glow on the bottom. My character pretty much looked like he was running at high speeds all across town which looked awkward. Another oddity to the game was grinding. In JSR, if you want to grind simply jumping on the rail will automatically begin the grind, however, Hover forces you to push a button in order to grind. This can get very tedious while playing and hard to adjust to. I only have four real gripes about Hover. First, the music only changes when you’re in a mission. Second, the missions aren’t all that exiting. Third, the ambient noise is almost non-existent. Fourth, what is the story? Is there even a story? As I stated earlier, the missions I played were only racing, delivery, and that basketball-like sport. Yes, JSR and JSRF had similar missions, but those were in different locations, there was more differentiation in music, and more variety of characters. It feels like this game was created with a multiplayer game style in mind but interestingly enough, every mission I played had no extra people in them. I was always alone vs NPC. Overall, Hover ISN’T a terrible game. It gave me the nostalgic feeling to go play JSR and therein lies the problem, how can I continue playing Hover when I have JSR already? I will probably go back to Hover at some point, but right now I don’t think I want to. Since it is an online game, maybe it will get updates. Maybe it will improve and become more interesting. This is all I can hope for. I still think you guys should try it out and see for yourself. It’s currently priced at $19.99 USD on Steam. Have you tried it already? What do you think of it? let us know in the comments! DOOD! Disgaea 5 is coming out on the Switch next week! May 23rd to be exact. Guess what? We have a review for you today! I have put 20 hours into it and I am only at the 4th Act and I have another 12 to go for the main story. I have dived into the item world and traveled far enough to see what’s new and I have also completed the side stories that unlock the protagonists from the previous games. Here are my thoughts…. Let me start out by saying, not all Disgaea game stories are super memorable. I can remember the 1st, 2nd, and 4th stories but not so much the 3rd (not sure why). Anyway, this isn’t a bad thing. The story is not really the point of these games. Regardless, in this game the main characters are Killia, the wanderer, and Seraphina, the Overlord of Gorgeous (the richest netherworld). Side characters include: Red Magnus, the Scorching flame Overlord; Christo, the Overlord of a certain giant netherworld (hehehe); and that’s all I know, for now. I think I am about to meet another side character that involves a yellow Prinny but I have yet to learn if they join the group. There’s also an annoying kid named Zeroken, I don’t know if he joins either, but he has made several appearances fighting the same enemy as me. Disgaea 5 brings more of the same from previous games with some new additions (of course) some for the better and some for the meh. The reason there are so many Overlords is because in D5 we get a new mechanic called Overload, a unique move that only Overlords can use and is specialized to the overlord. For example, Seraphina’s Overload is called Balor Gaze which when used causes male demons to become infatuated with Sera and fight each other for a while. Overload can only be used after filling a new gauge introduced in D5, the revenge gauge. The revenge gauge is filled every time a team member is hit and or defeated. Once filled, all attacks will critical hit and you can use certain attacks like Overload. The one drawback to this is that enemies can also go into revenge mode which makes them more difficult to face but also makes them drop certain items if defeated which makes it worth it to have enemies go into revenge mode. The training ground from D4/Clubs from D3 are back in the form of squads. Different squads do different things like share XP and Share Mana, these are still pretty useful to help level up characters you hardly use. The assembly is back, nothing much changed here as far as I can tell sbut one thing did change: you can no longer create characters using mana. There is now a recruiter for this and it uses money! This is good and bad in that some characters are more expensive than others to recruit. Making them strong is also more expensive but this makes sense. Before, it was a ton of mana needed. Now, it’s a ton of cash. The item world of course is back with more of the same but with some additions. As you may or may not know, the item world is used to strengthen items by traveling through randomly generated dungeons and diving as deep as possible. Invaders still exist which, if memory serves, were first introduced in D2? Anyway, there are also now leveling fish which add an extra level to the item if you finish the map while you are lifting the fish. There are bottles that drop scrolls if you defeat them and then there’s these bunny creatures that give you random prizes for beating them, like extra XP. Finally, there’s this stork thingy that some times drops by and drops an egg that could have any of the things mentioned above OR a super strong baddie that enhances your item if you beat them. I ran away because I met a level 250 monster and I was only level 20, so yeah…. Too long? Didn’t read? D5 has lots of familiar elements with just enough new and enhanced ones to keep it fresh, at least in my mind. D5 Complete doesn’t have any technically because it’s complete. Personally, I didn’t buy D5 for PS4 but I know what is DLC, so was it worth it at the time? Probably? I mean I’ll admit I am a super big Disgaea fan, I mean my nickname on here is DarkLaharl for goodness sake! I always love playing these games and I have dumped hours and hours into all them and I have bought pretty much every re-release that was on the PSP just to enjoy them again and on the go! So you can bet I love D5 for it being on the switch where I can take it anywhere or play on my TV…where was I….oh right, DLC. I probably would have bought it; I love all the previous protagonists so I would have gotten all those characters, Laharl, Etna, Flonne, Valvatorez, Rozlain, etc. The stories you play to unlock these guys are pretty fun too. The fact that it is complete in D5 makes it all the sweeter. Overall, if you are a Disgaea fan, like myself, I know you will enjoy this game as well. Never played it before? You would definitely enjoy it if you like: Turn based games, super long games that can give you 100+ hours past the actual story, strategy games. The graphics are not super high quality but that doesn’t matter; the graphics have hardly changed from Hour of Darkness and that’s OK. Disgaea doesn’t need them. If you want crazy HD graphics in your turn based strategy then go play Final Fantasy. If I had to give D5 a score, it would get an 9/10 from me. What about you? did you play this already on the PS4? Are you waiting for it on the Switch? Let us know in the comments Dood! Nintendo has announced that it will be releasing an New XL version of its 2DS version of the New 3DS XL! 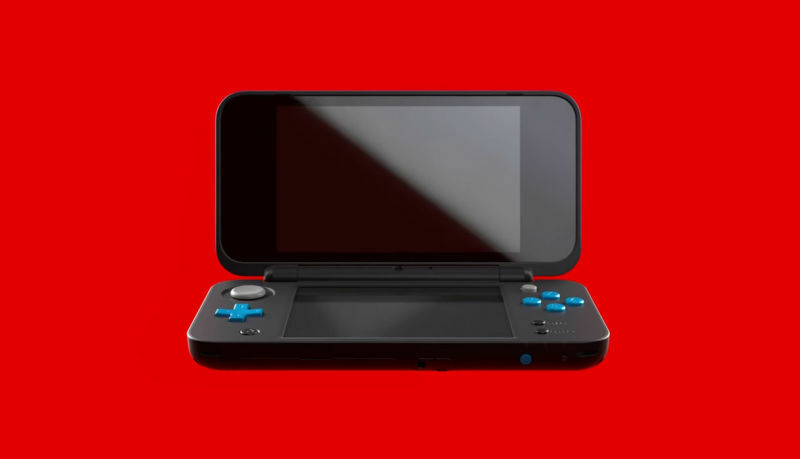 It looks slick and nice, sort of like a regular New 3DS XL, but a little smoother. Here I was thinking they might just get rid of the 3DS family in favor of the Switch. We will have to wait and see what happens though. Look for this new iteration towards the end of July. Tomorrow Blizzard is unleashing a new Overwatch Event, A kings row event. Today however there was a leak from Xbox on what the event is going to offer. Long story short, we are getting a mode similar to Junkenteins Revenge, except this time it is against omnics calling it Omnics Insurrection. In the new game mode players will only get to play as 4 heroes just like last time: Tracer, Torbjorn. Mercy and Rheinhardt. The other leaks are some of the new skins that will be available for Genji, Tracer, Mercy, Rheinhardt, Torbjorn, Black Widow…I mean Widowmaker and McCree check them out below and look for the event starting tomorrow. Are you going to play more than usual? I know I am!